Your desire to be online anytime everywhere is growing bigger, isn't it? The easiest and most reliable way to do so is by laying the foundations of your digital independence by creating your own website. A website is your business card that presents your business ideas and values to potential customers and partners. That's why you should invest some time and efforts to turn it into an attractive online destination. But to stimulate users’ interest even before they have visited your website, you need to give it a memorable name. This way chances to stand out from the competition will become considerable. universities, organizations or institutions with technical focus. The intended purpose of this domain extension does not end here. It seems that .tech is a good solution for different tech services, trainings, events related to business development and innovations. One very serious benefit of the new domains is that Google does not make a difference between them when ranking search results. The chance for your website to be ranked considerably higher is exactly as big as if you choose a domain extension such as .com, .net or .org. If .tech seems attractive enough for an existing online project, do not hesitate to transfer your website to this new domain extension. You do not need to invent long and catchy names to demonstrate your creativity. Be brief and convey your messages to your visitors clearly enough to persuade them they are at the right place. Your choice of a domain name does matter in the way you are going to welcome your potential customers, readers or followers. So welcome them with style! Is it possible to resist this opportunity? You can set a strong and persuasive beginning of your digital existence only for EUR 5.75/year. If only you could imagine what great projects have not seen the wide world and are awaiting their realization! Be ingenious and bravely jump into the challenge called website because this can bring you to new horizons which might turn to be very profitable. 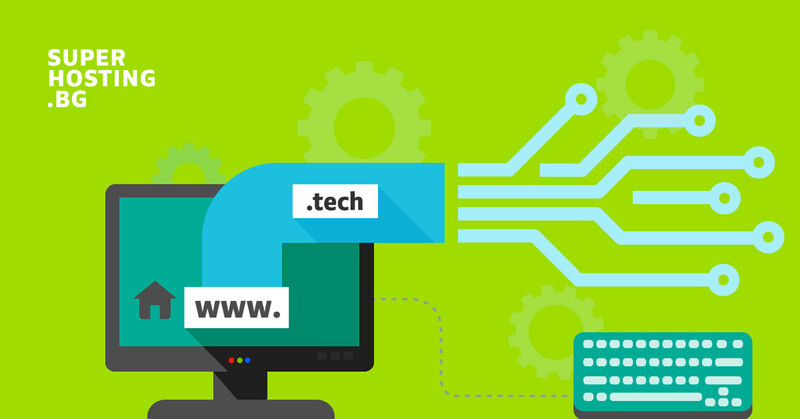 The .tech domain name is still gaining popularity on our market, but it is quickly turning into a desired web property for everyone who wants to stand out from the crowd. Get the name you desire when starting your online project. Do not give up just because the options with .com, .bg, .biz or .info have been already taken. There is still a plenty of available domain names. Hurry up and take advantage of our offer. Creating your own website is the first step towards a secure and reliable future in the digital world. You can already do this quickly and easily with our Site Builder. Provide your webpage with an authentic name and unique layout with just a few clicks. Make it popular and enjoy successful business with happy customers. How High Quality Images Can Influence Your Sales?